This week in cell therapy: we look back at the most read cell therapy news from 2018, including acquisitions, production troubles and regulator raids on both sides of the Pacific. In research funded by the Cord Blood Registry and published in February in Stem Cells Translational Medicine, treatment of autistic children with their own newborn cord blood was found to be safe and led to improvements in test scores for socialization. In March, TiGenix (Belgium) and Takeda’s (Osaka, Japan) Alofisel was approved by the European Commission for the treatment of complex perianal fistulas in adult Crohn’s disease sufferers, making it the first allogeneic stem cell-based therapy to receive approval for marketing in Europe. In April, Roche Holdings Inc. (Switzerland) acquired Inception 5, a program focused on discovering regenerative therapies for multiple sclerosis. May brought news that the FDA filed two permanent federal injunctions against clinics marketing and providing unapproved stem cell treatments. US Stem Cell Clinic LLC (FL, USA) and California Stem Cell Treatment Center Inc. (CA, USA) were served the injunctions to cease marketing their stem cell products until the necessary approvals were obtained and violations of good manufacturing practice were corrected. In June, the FDA placed a clinical hold on a Phase 1 trial evaluating a CD19-specific CAR-T therapy manufactured at the point of care, pending additional information relating to chemistry, manufacturing and controls in support of the investigational new drug application from Ziopharm Oncology, Inc. (MA, USA). In this news from July, Novartis revealed that during the translation of Kymriah from clinical trial to commercial production, the minimum percentage of viable cells had not been met, prompting a statement from Novartis and FDA involvement. In research published in August, platelet-rich plasma (PRP), which is commonly used in commercially available regenerative medicine treatments, often for degenerative joint indications, was found to impair cartilage formation in the long term. September brought news that the RECELL® System, developed by AVITA Medical (VIC, Australia), was approved by the FDA for the treatment of second- and third-degree burns. In October, the Korean regulator, the Ministry of Food and Drug Safety, recently conducted “urgent inspections” of four manufacturers of cell therapy over concerns over a possible change in cell source or donor. In more FDA action, StemGenex Biologic Laboratories LLC (CA, USA) has received a warning from the FDA in November over marketing of a ‘stem cell’ product that hasn’t received FDA approval as well as “significant deviations” from good manufacturing practice (GMP) at their manufacturing facility. 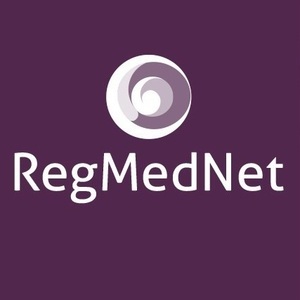 From everyone at RegMedNet, wishing you season's greetings and a happy 2019, full of regenerative medicine and cell therapy news!